Aunt Agatha breaks her icy silence, and asks Bertie to look after a fellow Englishman, Cyril, who is visiting in New York. She only has one stipulation: keep Cyril off the American stage. But by the time Bertie gets the imperiling word, Cyril lands a part in a musical comedy. 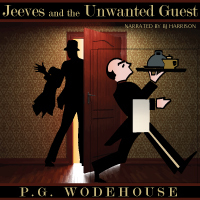 And with Jeeves turning a bit of a cold shoulder after a bust up over some purple socks, what's a Wooster to do? From CMF of Tamworth, Ontario on 3/1/2019 . I enjoyed this story very much, and was surprised because I thought I didn't like PG Woodhouse, but hearing it read well was a revelation. I recommend it! From Alaina Gates of San Diego, California on 2/25/2019 . Thoroughly enjoyed this book. I love P.G. Wodehouse's writing. 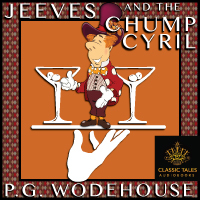 His books are quite humorous, especially his Mr. Jeeves series. As always BJ's reading of this book was phenomenal. I don't know how he comes up with just the right persona for each character. The different accents, inflections and tone of each are quite amazing to listen to. I look forward to getting a new book or two each month and will continue to support The Class Tales Podcast and store. From Beverly Rose of Greenville, Michigan on 1/8/2019 . Enjoyed B.J. 's different voices, which makes it so fun to listen to. Highly recommended! From Lindsay F of SLC, Utah on 3/17/2018 . I love all of P.G. 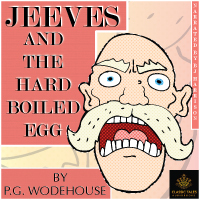 Wodehouse’s Jeeves stories! This one does not disappoint. BJ does a great job with the voices. From Anonymous of Chicago , Illinois on 12/29/2017 .